Weed Smoking Tricks: I’ve smoked weed and hash. Now what? Maybe Earwax Hash? Weed Smoking Tricks: I’ve smoked weed and hash. Now what? Maybe Earwax Hash? I’ve smoked weed and hash. Now what? Maybe Earwax Hash? If you’ve been a toker for a while now, you have most likely tried hash. 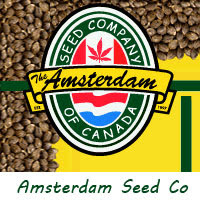 Its main ingredient is THC and most people experience a stronger high while smoking hash. The resin from the flowers of the cannabis plant are collected and then smoked using either hookahs, pipes, water bongs or sprinkling on top of a joint. Today, I would like to introduce you to a different kind of hash: Earwax. The hash is extracted through a butane extraction process, alcohol wash, or by using nitrogen oxide or CO2. 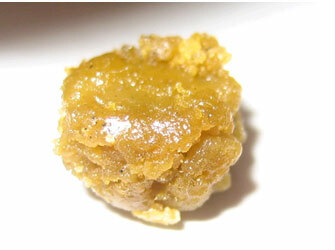 When the wax is warmed up, it has the consistency similar to honey and is usually a described as striking experience. Different strands will give you different results, giving you access to a multitude of adventures. There are similarities and differences between Earwax and Bubble hash. Bubble hash must go through a cold water process. Once the cold water extraction has separated the vegetable matters from the THC laden trichomes, the vegetables remains are removed and the THC is dried and pressed. The main difference between bubble hash and ear wax are their reactions when lit. Bubble hash will bubble and sometimes will not completely burn. On the other hand, ear wax will always melt down into a lovely concoction of THC, CBD and CBN. It is very potent and completely pure, there is no plant residue making it a cleaner hit. A major tip when smoking ear wax is moderation. It is strongly potent and it is advised to take in small doses, especially when trying new strands. The most common way to smoke earwax is through the use of a skillet or vapor globe. In order to inhale the wax, you must heat it up to create a vapor. Using a vapor globe is very simple, it is used to smoke full melt concentrates and made of a two pieces: a globe and nail. The globe pieces will slide on top of the nail once it is heated. The nail itself is made of glass or titanium and must be heated with a torch. Let the nail cool down slightly, place a dab of wax on top of the nail, and inhale. The skillet is used in a similar way, but consists of only one piece. Heat the skillet with a torch, tab the wax on top and toke away. If you need a more in depth explanation, you can visit YouTube for instructional videos. If you can’t afford these devices, you can also sprinkle a bad on top of a bowl or use a hot knife to melt the wax. Guys I'm just sharing another option of taking high , but I also want confess that for me the best option is simple marijuana buds :) especially if they grown from genuine Amsterdam seeds. Make sure you are paying attention to the cbd and thc levels of your medical marijuana before you ingest them. Get a high quality test kit such as the one created by CDx Life called the MyDx. This test kit is very accurate and can be used by you or your local medical marijuana dispensary to make sure you are getting the marijuana strain that would best suite your needs. This is very important because you do not want to get a strain that is either too weak or too strong. Please read more about the cbd and thc levels to make sure you know the potency of your medical marijuana. I was cured recently by one man from Africa Dr Ekpiku,A friend introduced me to him i contacted him, and he treat me an cured my Brain Tumor cancer permanently, It's still a surprised to me because all hope was gone, so i decided to testify his goodness to everyone, So if you have any diseases like this, ACNE/HIV/ CANCER/ HEPATITIS C VIRUS/HERPES VIRUS/GENITAL WART/ ALS/ COPD, or any diseases he can cure it and is a humble and truthful man. You can write Dr Ekpiku through mail: ekpikuspellhomeofgrace@gmail.com or ekpikuspellhomeofgrace@hotmail.com or call him with his telephone number +2348073673757. After reading this informative and effective post. I have good knowledge now to fix this issue and to explain this issue to others. The contents you mentioned in post are too good and can be very useful. I will keep it in mind, thanks for sharing the information keep updating, looking forward for more posts. Thanks..! !